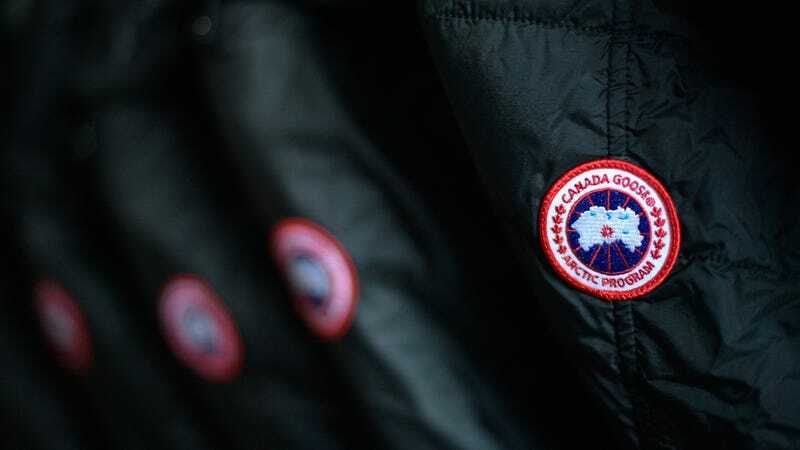 The winter outerwear brand Canada Goose has been banned at a high school in northwest England, where administrators hope to make it easier for students of all income levels to attend school and not feel pressure to show up in a parka that costs around $1,000. If you’ve ever lived in the northeast in the U.S., you’re probably seen Canada Goose jackets—as they kill two birds for rich New Yorkers with one stone: surviving sub-freezing temperatures and serving as flagrant displays of wealth. The heavy-duty parkas are a status symbol in certain circles; the brand’s circular red-and-white logo usually stamped on the sleeve. A quick look at the Canada Goose website shows that vests can cost more $400, parkas $900-$1200, and a simple beanie $175. Needless to say, high schoolers do not need a jump-start on needlessly forking over hundreds of dollars to fashion companies, as life is long and capitalism comes for us all and there will be ample opportunity for that in adulthood. The pressure to show up to school decked out in Canada Goose is unrealistic for some low-income students; the Woodchurch High School in England sent a letter to parents announcing the ban this week, according to the Washington Post (Moncler and Pyrenex are also banned). The move was decided after consulting with a group of students, according to the school’s head teacher Rebekah Phillips. She told the BBC: “We are very concerned as a school about poverty-proofing our school environment and, as such, we met with groups of pupils and made the decision in consultation with them.” Poverty-proofing aims “to reduce stigma and remove barriers” to education, according to the UK-based project’s website. Not everyone is happy with the ban, but I suppose they will just have to wear their Canada Goose on the weekends or wait until next year to see if the school decides to change its mind. In a few months, anyway, it won’t matter, because it’ll be spring.